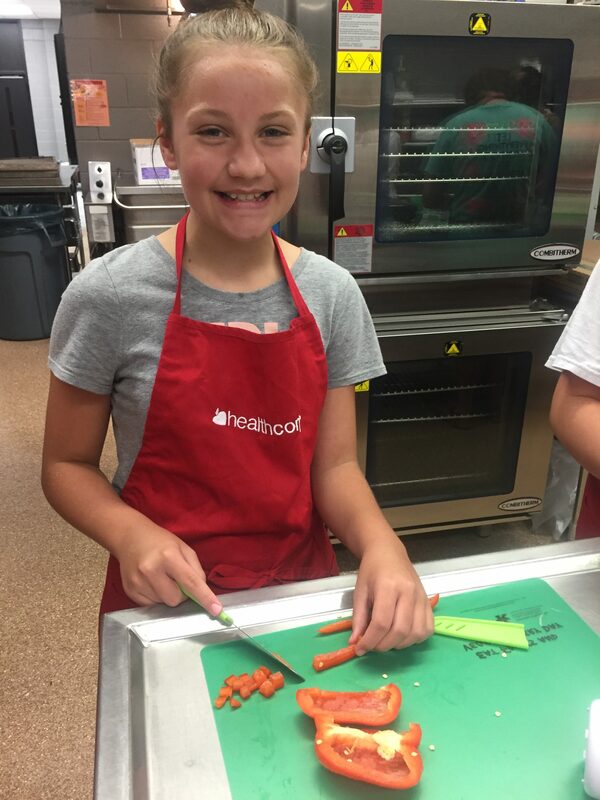 This summer, HealthCorps in Knox County, KY is educating teens how to buy and prepare healthy meals for themselves. Seventeen students from Corbin Middle School, grades 6-8, attended a week-long Rookie Cooking and Fitness Camp. Each day, students learned new cooking skills, prepared and cooked their own lunch, learned a mental resilience skill and experienced a 60-minute workout with a local fitness instructor. “Here in Knox County, we want to equip teens with skills for healthy living – not just for today, but for a lifetime! 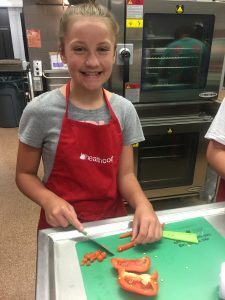 Giving students healthy food is good for today, but equipping them with skills to make healthy food will help them and their families for years to come” said Lisa Woodlee, HealthCorps coordinator at Corbin Middle School. Students learned about food groups, correct portion sizes, how to read and follow a recipe and more. Another important skill the students gained from the week was how to read a nutrition label. “I learned to always read the labels. It is important to know which food is better for your body,” said Addy a 6thgrade student. Students got to practice their new skills by making their lunch each day, which included: chicken fajitas, vegetable frittatas, skillet enchiladas, homemade marinara sauce, and broccoli and chicken alfredo. The culmination of camp was a Celebration Lunch where each student could invite guests to a lunch that they prepared. Students chose, shopped for and served the meal to their guests. The menu, included an appetizer, main dish, and dessert. 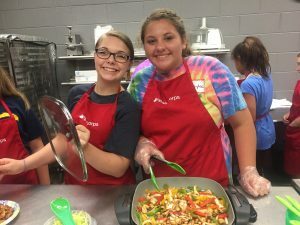 Rookie Cooking and Fitness Camp was a collaborative effort between Kentucky State University SNAP Ed, Knox County Promise Neighborhood, and HealthCorps. The camp was a great success and there are plans to provide similar camps in the future.